The OBC leader also indicated against contesting upcoming Lok Sabha elections. 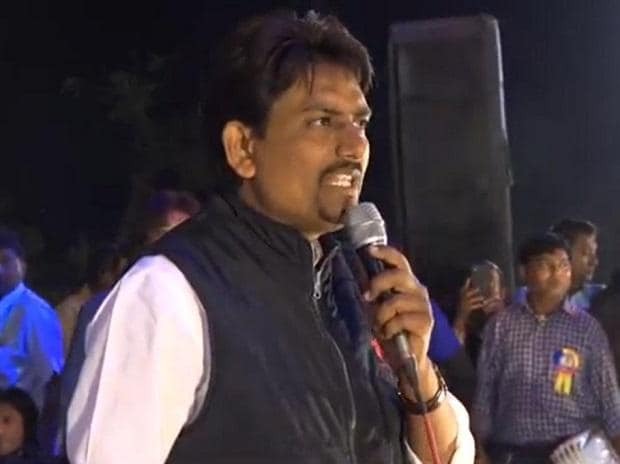 Congress MLA from Gujarat, Alpesh Thakor Saturday dismissed reports that he would switch over to the BJP. After meeting top brass of Congress in Delhi, the Radhanpur MLA told reporters here that the speculation that he might join the BJP was not true. "I am now very clear that I have to fight for my people. So I will stay with Congress and will continue to support this party. I want respect and rights for my people," Thakor said, adding that he would continue to fight for the poor, jobless youths, farmers, and people from OBC, SC and ST communities. Referring to remarks attributed to his detractors on his possible entry to the BJP for a ministerial position, Thakor said he was "neither sold nor greedy". "Had I been greedy, I would have joined the Congress six months ago," he said. In the same breath, Thakor also admitted that though he was not happy with Gujarat Congress leadership the matter has been resolved now. His statement comes a day after two Congress MLAs, Jawahar Chavda and Parsotam Sabariya resigned from the party. Chavda was inducted as a Cabinet minister in the Vijay Rupani government Saturday, after he joined the BJP. Political circles were abuzz with rumours that Thakor might also cross over to the ruling party. Thakor, who has been appointed as the Congress Secretary and party co-incharge in Bihar, also denied reports that he wanted Lok Sabha ticket for his wife. "My wife will never enter politics," he said. When asked whether he wanted to contest Parliamentary polls, Thakor said he was not interested in such proposition. "I am not harbouring any such thought. I am not interested. I must tell you that I want to work in Gujarat. I have even requested my party that I don't want to remain a national executive but wanted to work for my people in Gujarat," he said. Thakor, who had rallied OBC communities against the quota demand of Patels, had joined the Congress before the 2017 Gujarat assembly polls.